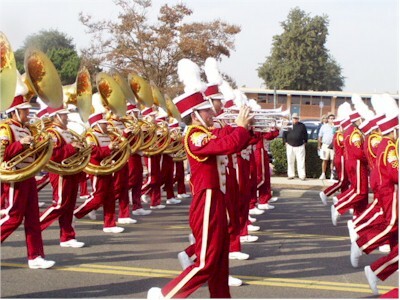 Marching band competition at Chino. Unfortunately, I had to miss this event because I was "strongly encouraged" to attend an event at work. Fortunately, I was able to get out of that event early and watch Scott score 6 points in the last few minutes of his basketball game. After that, we went to rent some movies and get some dinner at the grocery store. We spent a nice evening at home and both fell asleep before Matt and Susan got back from Riverside County.